Cellulite free serum Archives - Do You Speak Gossip?Do You Speak Gossip? Για να διαβάσετε το κείμενο στα Ελληνικά, κάντε κλικ εδώ ή στο Language: Greek. 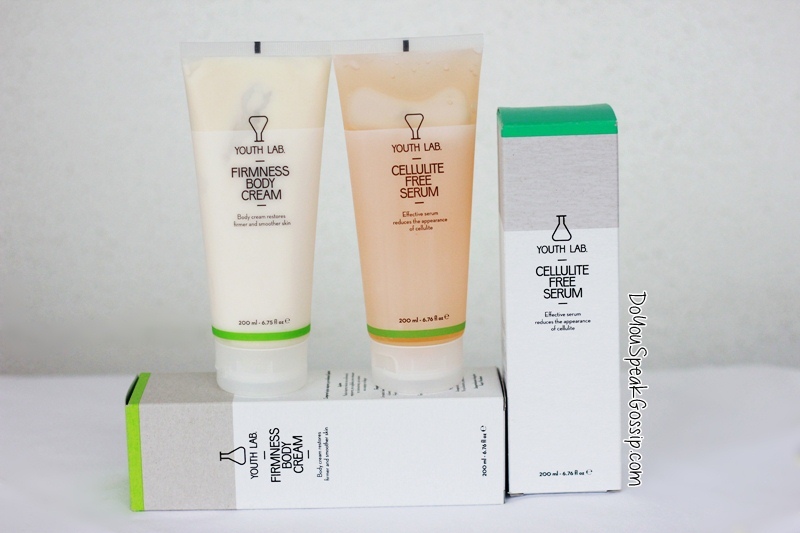 I’m here with another review post today, to tell you my thoughts about 2 products I received from Youth Lab: The Cellulite Free Serum & the Firmness Body Cream. I’ve been trying these products for the past 3 months, to get a full opinion, but let me start by saying, that I was never a believer of cellulite products in general, so even though I bought such products in the past, I never used them for a long time, and I’ve never seen results. This is the longest I’ve tried such products, so you know my review is honest.